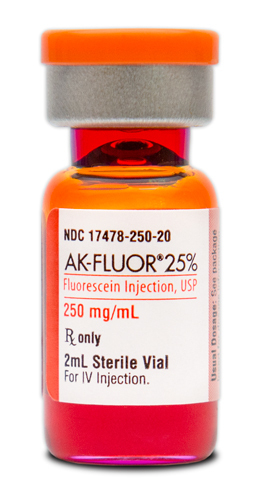 Sterile Fluorescein Sodium 25% in a 2mL single dose vial. Preservative free. Manufactured by Akorn. NDC Number: 17478-250-20. Comes 12 per pack. 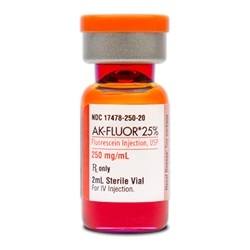 Pricing on web is per vial please multiply by 12 for final price.